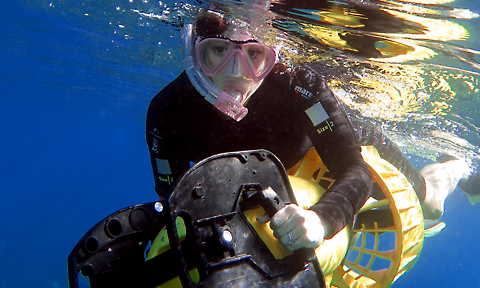 Join Me For An Exciting And Special Scuba Diving, Snorkeling, Kayaking, Or Paddleboarding Private Tour. I Pledge That Every Guest Learns Something New On Every Outing With Me, Whether The Topic Is Sealife, Skills, Underwater Photography, Or Life Philosophy. 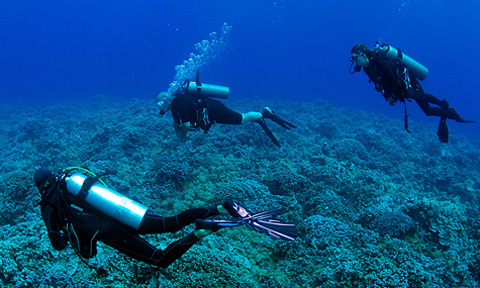 As A Result Of Being Home-Based Out Of The Four Seasons Resort Maui Dive Shop, Maui Undersea Adventures, We can Explore The Famous “Wailea Point Reef”, Or Venture To “Makena Landing and Caverns” Or Go Big With A Visit To The St. Anthony Shipwreck Off Keawakapu Beach. 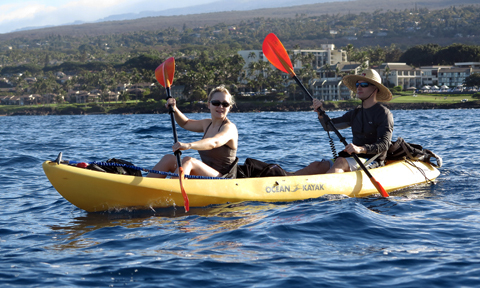 Scooter, Dive And Snorkel Gear, Paddleboards, and Kayaks, Are All Options For A Variety Of Maui Coral Reef Tours. Book Your Private Tour Now, Especially Because You Will Have The Best Experience The Reefs Of Maui Have To Offer, While Taking Home Amazing Underwater Photos And Videos Of Your Ocean Activity. After Shooting The Entire Private Tour From Start To Finish, I Custom Edit And Produce Digital Downloads Of Your Personal Tour Gallery, Delivered Via Email Link And Ready To Share With Friends Or On Social Media Sites. EXPERIENCE THE DIFFERENCE A PRIVATE TOUR CAN MAKE! INTIMATE ANIMAL ENCOUNTERS, CUSTOMIZED TO YOUR SKILL LEVEL AND PREFERENCE, TOP QUALITY EQUIPMENT, IN ADDITION TO OVER 25 YEARS OF SHARING MAUI’S CORAL REEFS WITH VISITORS ALL RESULT IN THE OUTCOME OF EXCELLENCE! Travel Safe And Secure With A Private Guide!